Flash isn’t officially dead, but today’s announcement from Adobe that they’re ending development Flash Player for mobile devices isn’t exactly a good sign for supporters of the technology. Mobile rules right now, and while I wouldn’t yet go so far as to talk about Post-PC this and that, I certainly would use mobile as a barometer of where the computing industry is – and where it’s heading. Announcing that one of the rallying points in the Android–iOS Fanboy Wars is no longer worth supporting isn’t saying you’re giving up on it entirely, but it’s definitely giving pause to everyone out there who calls himself a Flash developer. In other words, Flash is dead. Long live HTML5. What once was a feature to hold out for, base buying decisions on, and serve as the fossil fuel fanning endless flamewars just became little more than a logo to be erased from the exterior of phone and tablet boxes before the next run of packaging materials is pritned. I fully buy the argument that Apple “won the war” because iOS has never supported Flash and now Adobe is laying off employees and killing off Flash for mobile. But I also don’t much care. Mainly I’m kinda bummed for my Flash dev friends, but also excited by the prospect of more high quality content accessible from more mobile devices because most of the big players seem to be fine with adopting HTML5 as the standard of record. At least for now. That’s a good thing, I think. HTML5 is getting sophisticated enough to support all sorts of nifty in-browser tricks, and the more standardized Web technologies are, the better enabled content producers should be to crank out “code once, distribute to all” stuff. That means lower costs of production and bigger potential audiences. Which is good. The rise of native apps for mobile is also to blame – or thank – here. As smartphones and tablets started to grow into full-fledged mini-computers, SDKs and app stores allowed developers to unlock the full potential of the devices and the commercial ecosystems that grew in their wake. 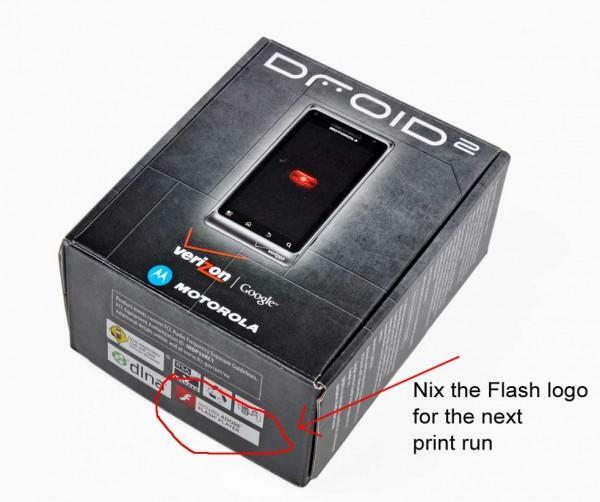 Flash on a top-end Android phone was often (sometimes?) passable, but well-crafted natives apps were almost always better. And apps are more easily priced and sold through app stores. So why not ditch the browser plug in in favor of an SDK (more control) and App Store (money!). Adobe’s right to shift their focus to HTML5, and providing creative professionals with the best tools possible to craft HTML5-based content. They’re also right to continue attempts to leverage Flash’s legacy where they can, so if they say there’s continued potential in desktop browsers, more power to ’em. As a former Flash hack and current abuser of Photoshop’s power (mainly I use it to crop, resize, and compress images), I certainly don’t want Adobe to go away. But today’s a sad day for them – how can it not be? They’ve finally laid down their sword and admitted they’ve lost the battle to claim a piece of the most important ground in today’s computing landscape: The land of mobile. Flash is dead, long live Flash! Just not on mobile devices.